I attend an internet and online conference and I’m offline. Too bad. An underpowered republica wireless network and totally non-working 3G, because about 70% of all attendees use iPhones and therefore are on the same T-Mobile network. It’s nearly impossible to load the conference’s online schedule to learn about sessions and workshops. Even downloading an .ical file to my iPhone to save it in a local calendar doesn’t really work because there are way too many parallel tracks on the calendar. The entries are too small to be legible. The session I enjoyed most is Sascha Pallenberg’s “Blogs monetarisieren, aber wie”, blog monetization, obviously in German. 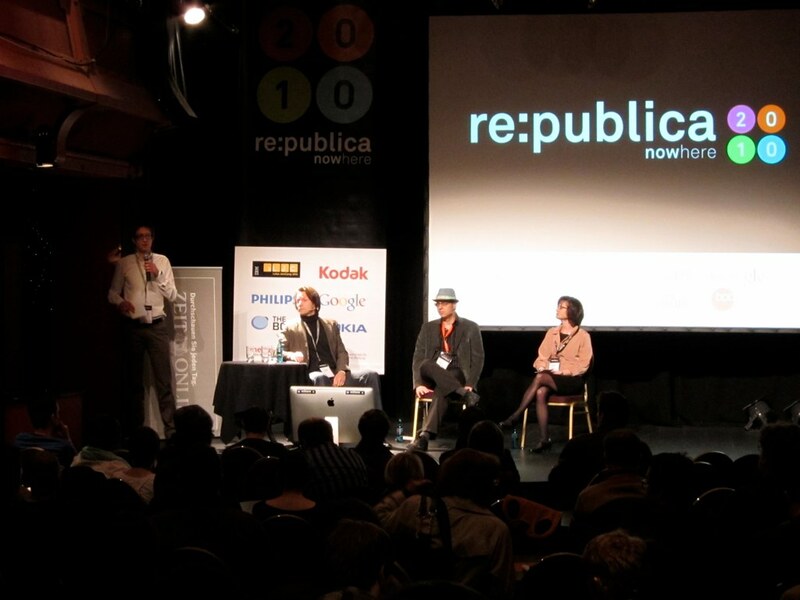 As most of the talks at republica are. It was good day on the #rp10. Except the missing internet.